Tranmere have re-signed defender Danny Holmes on a one-year contract starting on 1 July from The New Saints. The 22-year-old made one appearance for Rovers in 2008, before being released the following year. 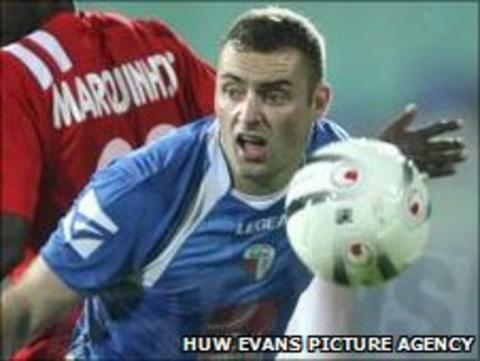 He made 57 league appearances for TNS, winning one Welsh Premier League medal and two Loosemores League Cups, before being released by the Saints in May. "His work ethic always impressed me when he was here as a youngster," said Tranmere manager Les Parry. "He has now been away and got a lot of experience under his belt to come back to us as a better player." At the end of 2010/11, eight of the 12 Welsh Premier League managers selected him in their team of the season.